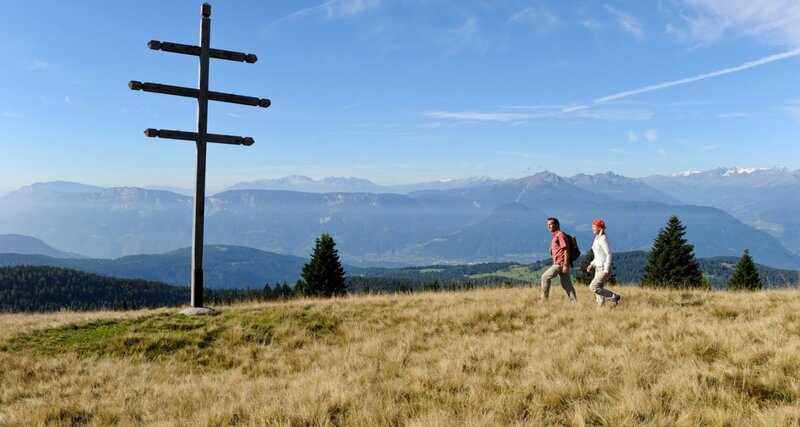 Vöran and the nearby hiking paradise Meran 2000 invite you to participate in all kinds of hiking tours all year round. 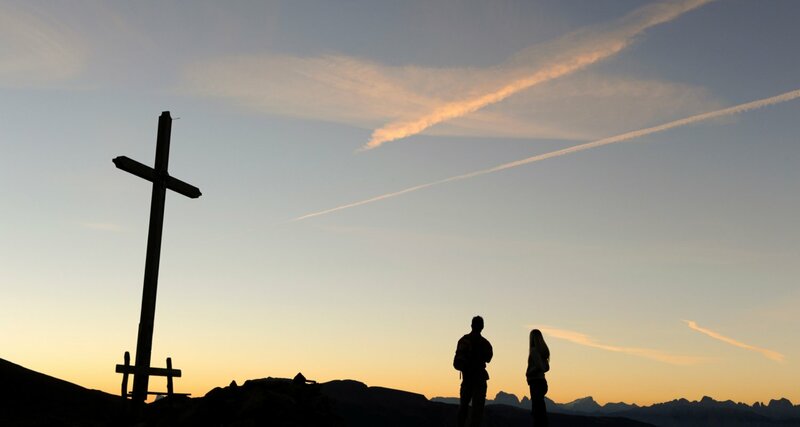 Whether easy or demanding tours – everyone will find his personal favourite tour here! 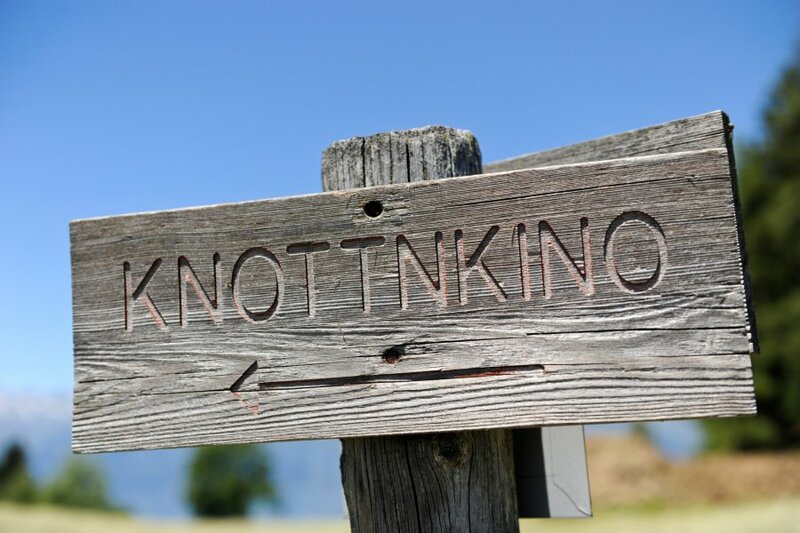 What about a hiking trip to the “Knottnkino”, an open-air cinema in Vöran? A gentle walk over pastures? Or an exciting trip to a mountain peak? 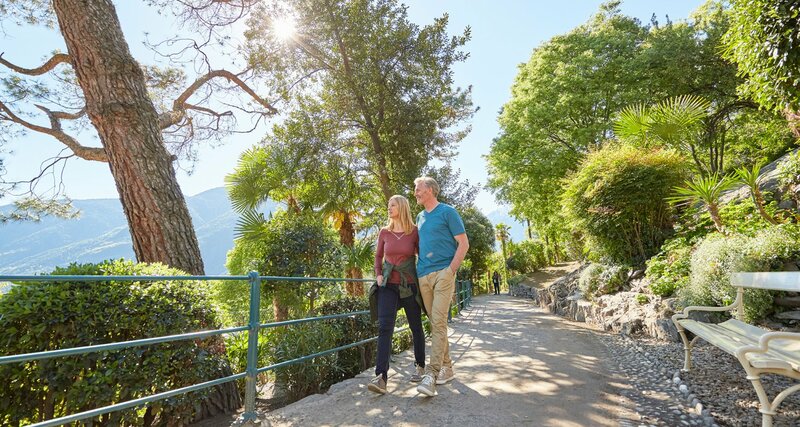 Here you can always hike on well marked trails and paths so that nothing stands in the way of your hiking holiday in the countryside of Meran. 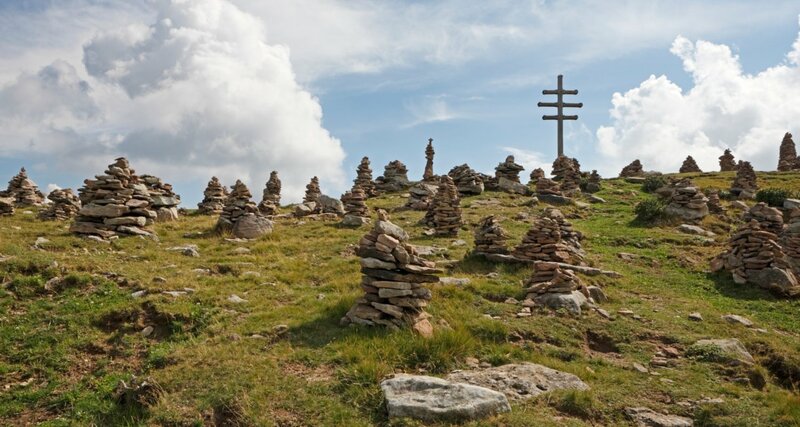 You should not miss the culinary aspects of a mountain tour! Numerous Alpine pastures and huts treat you with South Tyrolean delicacies, such as “Kaiserschmarren”, sweet cut-up pancake with raisins, or a traditional bacon platter. Description: Starting point is the Hotel Oberwirt. From here follow the route Nr. 16 towards East until the Guest House Grüner Baum. Through a wonderful path in the meadows you come to the hill Beimsteinkogl (spectacular view over the village). On you way back turn left after the descent of the Beimsteinkogl towards Houses Flecker and continue until the village of Vöran. Description: Starting point is the Hotel Oberwirt. From here follow the route Nr. 16 towards East until the Guest House Grüner Baum. At the parking above the guest house continue on the path Schützbrünnlweg Nr. 12A. At the end of the path follow the Nr. 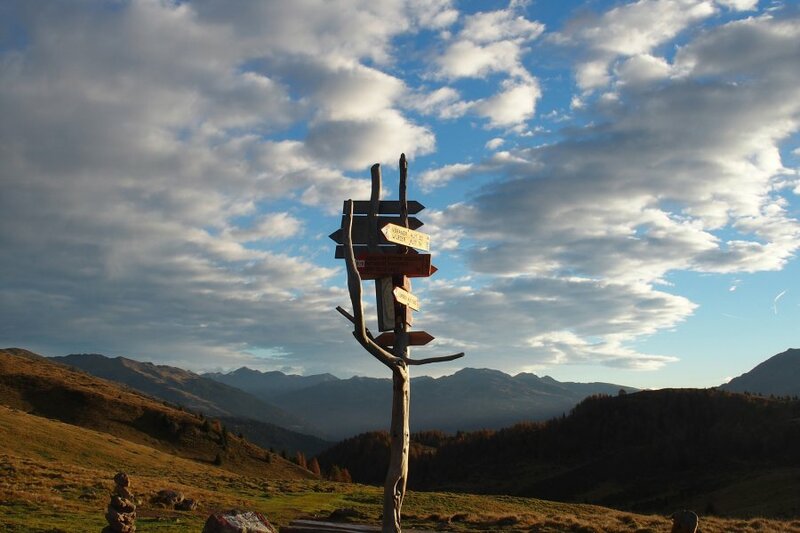 11 right up to the House Bruggen and then up to the hut Leadner Alm. Backwards: Nr. 16 up to the Guest House Grüner Baum and then to Vöran. At the end of the path Schützenbründlweg you should not miss to turn to the famous „Knottnkino“, the “mountain cinema” on Rotsteinkogel (about 1 hour). 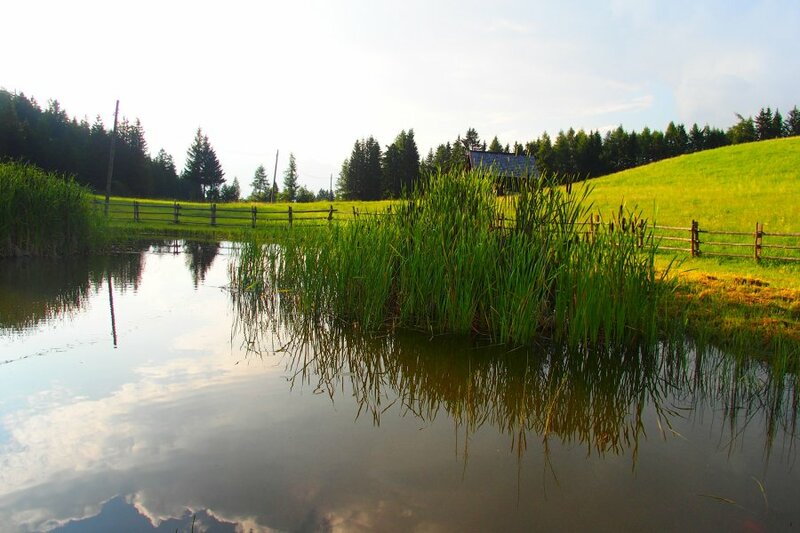 Description: From the Hotel Oberwirt to the centre of the village and then path Nr. 13. to the hut Bacherhof. From here path V to Schlaneid, then right upwards on the U-path to the Guest House St. Ulrich. From here on the main road Mölten-Vöran, turn left (path Nr. 13) to the Langwieshof downwards to the Bacherhof and Vöran. 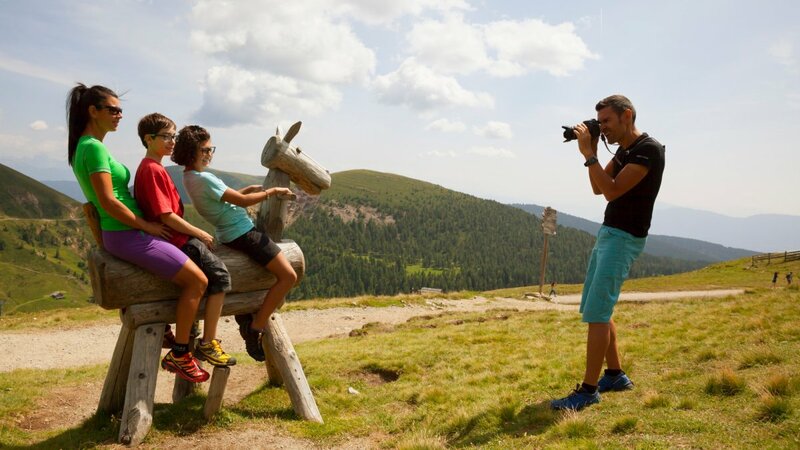 O f course in Vöran and its surroundings you will also find family-friendly hiking and themed paths, which your little ones will hardly forget.